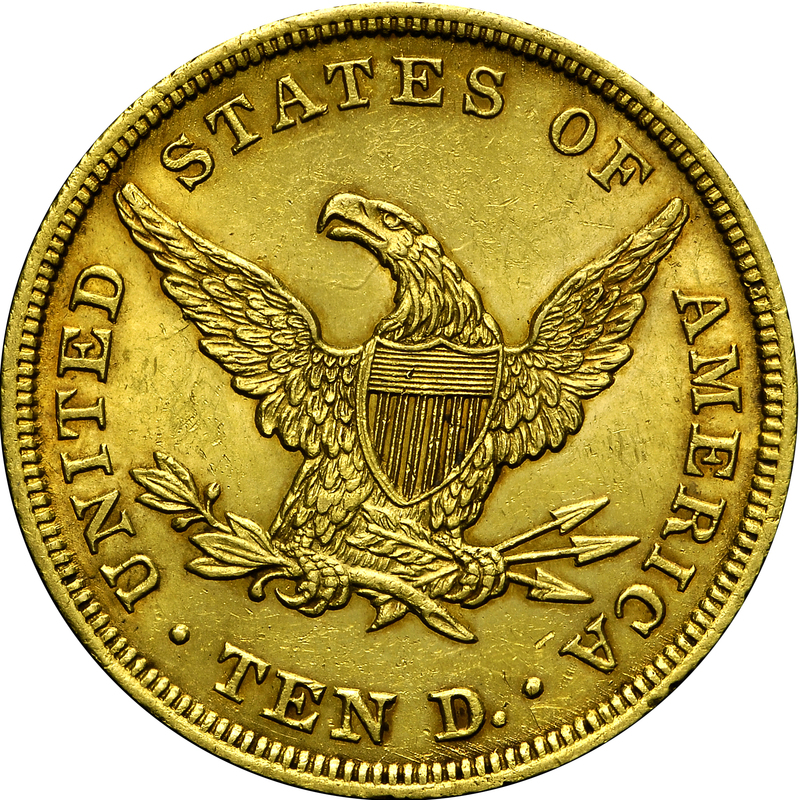 The Liberty Head obverse, engraved by Christian Gobrecht, made its first appearance in 1838, with modifications taking place during 1839. This first head style has Liberty leaning forward, with a dramatically curved bust line positioned over the first two date digits. 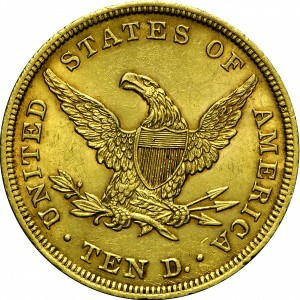 The reverse has larger letters than found on subsequent issues. Walter Breen described both Normal Date and Overdate varieties. Displayed is an outstanding example of the normal date variety, very nearly Mint-State. Purchased from Rowe and Brownlee, October 18, 1966. Head of Miss Liberty faces left, wearing a coronet inscribed LIBERTY, her hair in a bun at back of her head, held in place by a beaded cord. 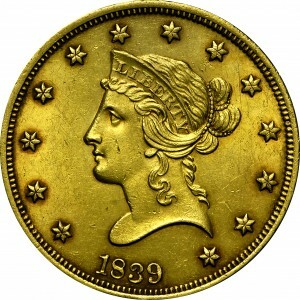 In relation to the date, her head is tilted forward (which compared to the introduction of the same general motif on the 1840 quarter eagle and 1839 half eagle). Around, 13 stars are evenly spaced with the date below.